We are grateful for the gifts of time and talent from the members of our skilled and dedicated working Governing Board. They represent our key stakeholders including Administrators, Parents, Learners and Community Members. Jana Chabre became Nea's Lower Village Lead Facilitator in July 2017. She holds a BA in Art and Spanish from St. Mary’s College. She obtained her teaching credential at UC Irvine, and her Master’s Degree in Education from San Francisco State. Jana has been with Nea since 2011, and has greatly enjoyed her time teaching here. Jana has taught Kindergarten, First, and Second Grades at Nea, with a total of 16 years of classroom teaching experience. 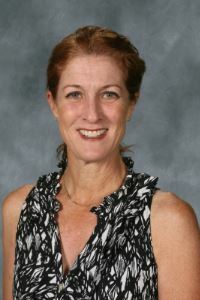 During her time at Nea, Jana has also worked on several school-wide initiatives, including leading curriculum development for Kindergarten through Second Grade, coordinating Nea’s successful full-term WASC accreditation application and approval process, and initiating a reading intervention program for learners needing additional help. Jana applies the many things she has learned in and out of the classroom to her role as an administrator and aims to foster continuity, community and unity in the school. Matthew Wienclawski was born and raised in Pennsylvania. He comes from a family of educators who inspired him to enter the classroom. Matthew earned his B.A in 2006, his M.A. in Education in 2011, and has obtained his preliminary administrative credential. Currently, he is working on a M.S. in Educational Leadership at CSU-Eastbay. Matthew has several years of teaching experience between Philadelphia and Oakland. He became an administrator in 2013, serving as a Discipline Coordinator, Dean of Students, and Vice Principal at Bay Area Technology School. He is an accomplished visionary leader with 5 years of operational, planning, and administrative experience within the charter school sector. He is a member of the Association of California School Administrators and an advocate for the California Charter School Association. 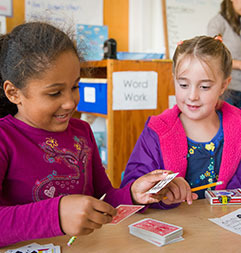 Matthew looks forward to continuing Nea's strong tradition of active and exploratory learning. He is focused on upholding the school's mission and will strive to maintain inclusivity and equity. He is thrilled to be Nea's Lead Facilitator (Upper Village) for the 2018-19 school year. Matthew enjoys playing soccer, camping, and traveling. He is a staunch Arsenal Football Club supporter and loves spending time with his wife, Danielle, son, Francis, and dog, Ditto. 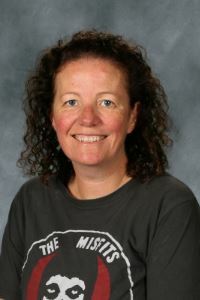 Becky Freeman became Nea's School Manager in July of 2017. She joined the team in May 2015 but has been an active member of Nea's community since 2011. Becky grew up in England and earned her LLB in Business Law before completing her Master's in Criminal Justice. A passionate educator, Becky spent the next four years researching youth victimization for her PhD and teaching criminology to undergraduates. She became deeply involved with the local community, working with youth homelessness, and those caught in a life of juvenile crime. It was during this time that she realized that she wanted to work in the field of education and support young people at risk. Becky moved to the Bay Area with her husband back in 2001. They have two children who both attend Nea. In 2015 she received the Salute to Education honor from the Alameda Education Foundation in recognition of her dedication to Nea. She currently serves on the PTSA Executive Board, the Personnel, Program Evaluation, and Curriculum Committees, and is the monthly newsletter editor. Becky loves working at a school she is deeply invested in. Position Open--the Nea Board is currently seeking a community board member. 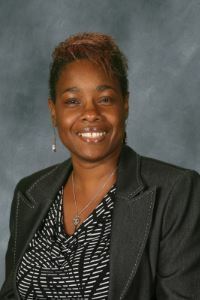 Patricia Drew has been a Nea board member since 2011. She is a human development and women's studies professor at California State University, East Bay, and teaches classes on the life course, women's health, and the effects of social structure and social location on individuals' life trajectories. Patricia has been an Alameda resident since 2009, enjoying life on the island with her spouse and two daughters. She spends a large amount of time exploring Alameda's wonderful playgrounds!